It’s becoming increasingly clear that the lifestyle of many humans is damaging the Earth irreparably, and it’s not just the way we live at home. More and more businesses are beginning to look at the waste they produce, the energy they consume and the harm they cause as a result of that. XL Displays are no different. We have always tried our best to be sustainable and to minimise waste, but we are pushing even harder for it in 2019. The world of events and exhibitions has long been one that many deem unsustainable because of the amount of display stands and apparatus that are discarded as rubbish after one use; but it doesn’t have to be that way. Like any other sector, the event and exhibition industry can make strides to be eco-friendlier and more mindful of the Earth, but it all starts with us – the suppliers. It’s human nature to want to get the most out of something you’ve paid for; whether that’s taking old plastic bags with you to the supermarket when you do your shopping instead of buying new ones, or if it’s scraping the last few scraps of jam out of the jar before you discard it. Exhibition stands are no different. We know that businesses want to make an impact and have the biggest, brightest and best display in the room, but that’s no excuse to be wasteful as a result. Build and burn stands are popular because of their limitless boundaries when it comes to creative design. However, they aren’t called build and burn for no reason. Build and burn stands are custom made displays that are suited to one location and one location only. The infrastructure must be professionally installed and dismantled, further increasing the already sky-high cost of the exhibition stand and resulting in a display that can only be used one time for one brand at one event. 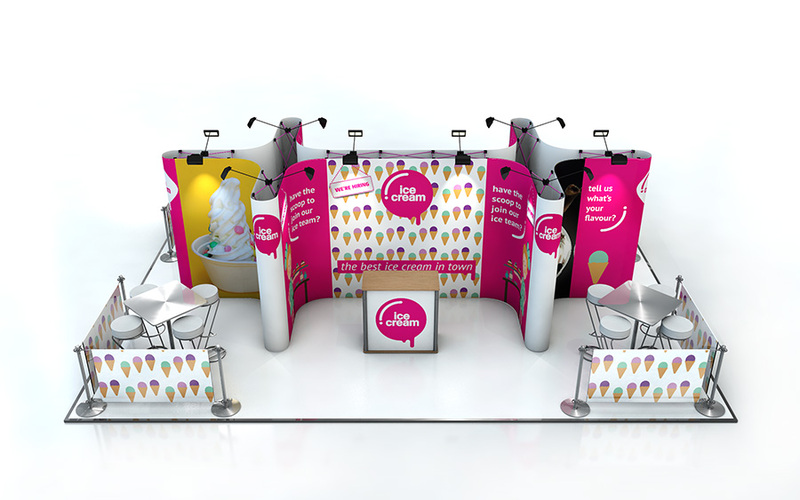 Yes, build and burn displays do look strikingly good, but you can obtain the same level of impact using one of our reconfigurable pop up display stands or a modular exhibition stand. Our range of modular and reconfigurable displays can be custom built to suit your marketing campaign whilst retaining the ability to be reused and adapted in line with your business. Modular displays can be configured in any shape or size and offer the option of replacement graphics. This means no only are you investing in a display that is suitable for a lifetime of use, but you are considerably minimising the impact exhibitions and events have on the environment too. Investing in a reusable display stand is one thing, but it won’t have as large of an impact unless the stand itself is also environmentally friendly. 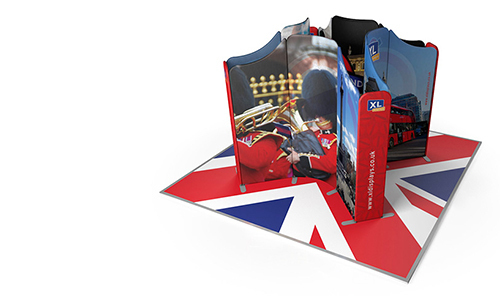 Our range of fabric exhibition stands are fully recyclable. The aluminium frame can be sent to a recycling plant and be melted down in order to create new items like tins and water bottles. The 100% polyester fabric can be recycled and transformed into rPET products for use in clothing and home interior textiles. This means that not only can you replace and reuse your stand, but you can rest easy knowing that your old graphics are being responsibly disposed of should you require new artwork. Sometimes, it’s the smaller things in life that make the most difference, and exhibiting is no exception. Simple things like trading out plastic bags for paper bags when handing out information packs are a good place to start. Alternatively, switching to LED lights instead of using halogen lights is also a good step as LED lights use less power than halogen lights and have a longer lifespan. 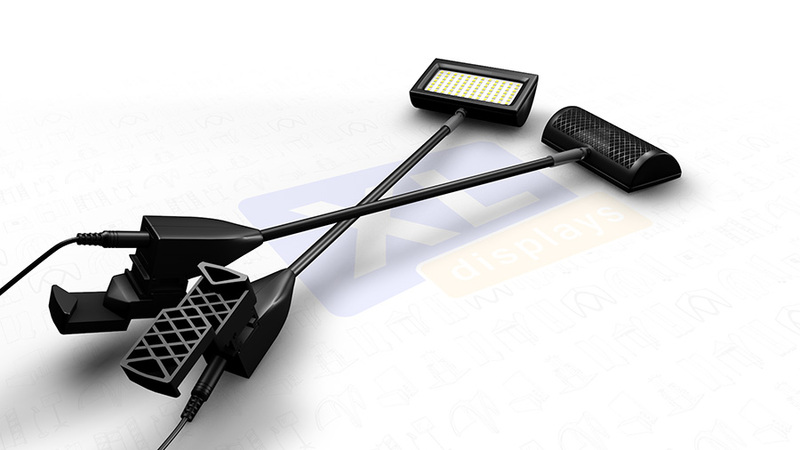 To help make our displays better for the environment, XL Displays became the first exhibition stand supplier in the UK to offer LED lights with every pop up display stand as standard – meaning you don’t need to worry about purchasing them separately if it’s an option you are considering. Whatever you decide to do to help make your event or exhibition eco-friendlier is a move in the right direction, whether you decide to ditch the build and burn entirely or start with switching out your exhibition lighting. If you would like more information about our exhibition stands and the materials they are made from, feel free to contact us or call 01733 511030.